Harrison Eastoft is a firm of building contractors, with a great deal of experience, dating back to 1946. In addition to the experience, we have the expertise, built up from all these decades in the trade. We can provide the complete solution from the survey and design, to the construction and delivery, right down to the finishing touches. We can expand, extend, upgrade, renovate and refurbish premises to accommodate expansion, improvement or a change in function. We work in all sectors, and all project types, with significant experience within the agricultural, industrial and commercial industries. We have a constantly increasing portfolio of impressive projects, from small residential conservatories to large retail stores, from a simple face-lift to a full-scale renovation. We can redesign a space for improved performance, extend premises for increased storage, or refresh a look for a better image. Harrison Eastoft can make your ideas a reality, and provide an effective and superb result, for all your needs and desires. We are dedicated to achieving an exceptional standard of finish on all of our schemes, whilst remaining competitive with our pricing. 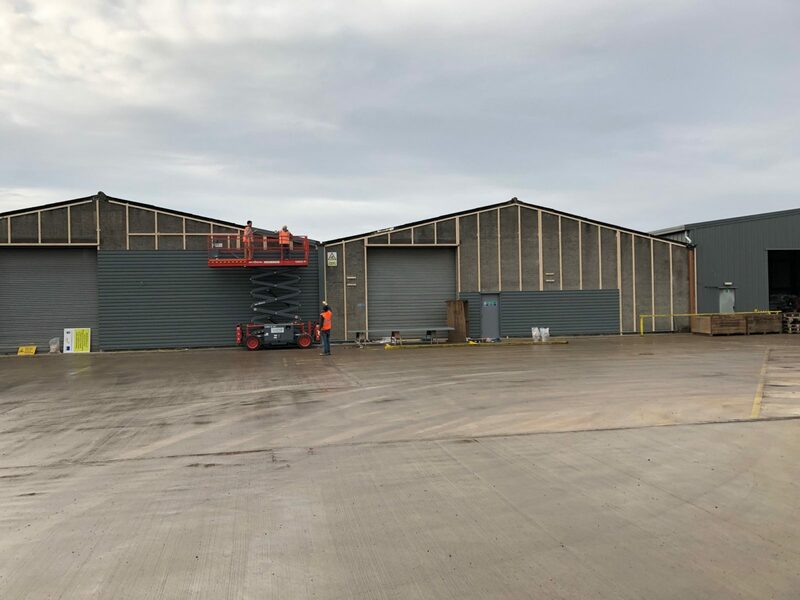 Harrison Eastoft has the advantageous position of its own builders’ yard, complete with steel fabrication and joinery workshops, which allows for the production of timely and cost-effective quality manufacturing and construction work. This highly complements the workmanship of our tradesmen, producing stunning refurbishment results. An overall extraordinary and unbeatable service by Harrison Eastoft. We have many delighted customers who have entrusted us with a refurbishment project and experienced the distinguished services and results of Harrison Eastoft. We have become a well-known and respected contractor of choice, originally in Lincolnshire, and now in a much wider geographical area. If you have a refurbishment intention in mind, please contact a member of our team to discuss your ideas and we will provide a solution which is attractive and cost-effective to you.